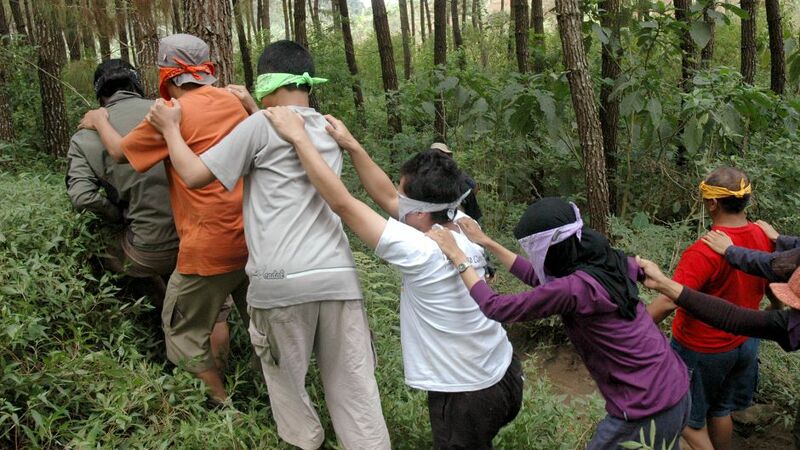 In Outbound Training, you will build your capacities of leadership, teamwork, independence while having fun. Apart from those advantages, Petungsewu Wildlife Education Center (P-WEC) offers you with outbound programmes which high-standard safety and comfort. 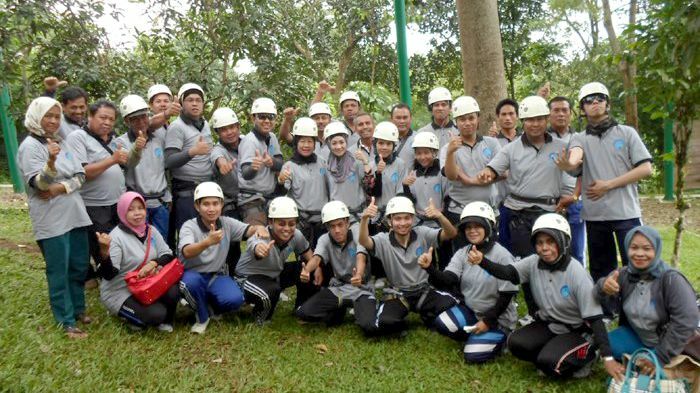 Petungsewu Wildlife Education Center (P-WEC)'s permanent high ropes facility is safety guaranteed. It was located in Petungsewu Wildlife Education Center (P-WEC) in Petungsewu Village, Malang Regency. 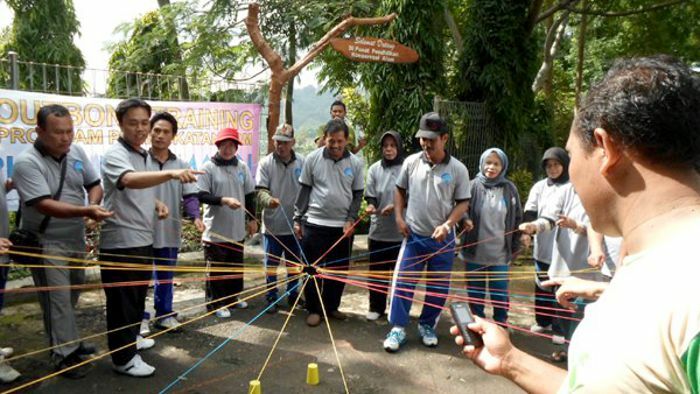 Petungsewu Wildlife Education Center (P-WEC)'s outbound equipments are qualified and standardized. Petungsewu Wildlife Education Center (P-WEC)'s guides or facilitators are experienced for guiding hundreds of outbound programs. Besides, they are friendly and responsible people. Hundreds of big companies, government organizations, educational institutions, and many other well-known organizations are satisfied by Petungsewu Wildlife Education Center (P-WEC)'s outbound programs. Click Customers testimonies. 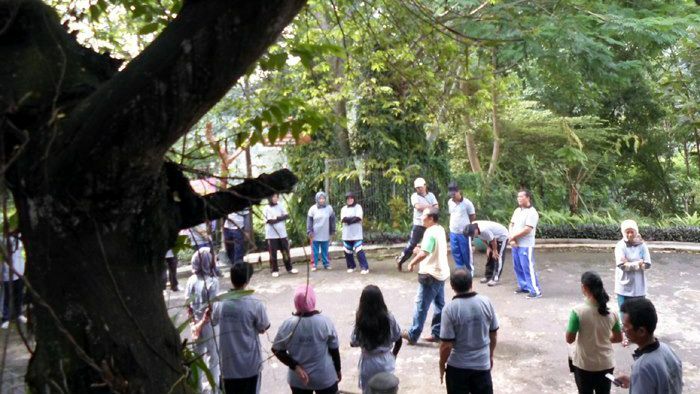 Petungsewu Wildlife Education Center (P-WEC)'s outbound programs are held in natural environment. 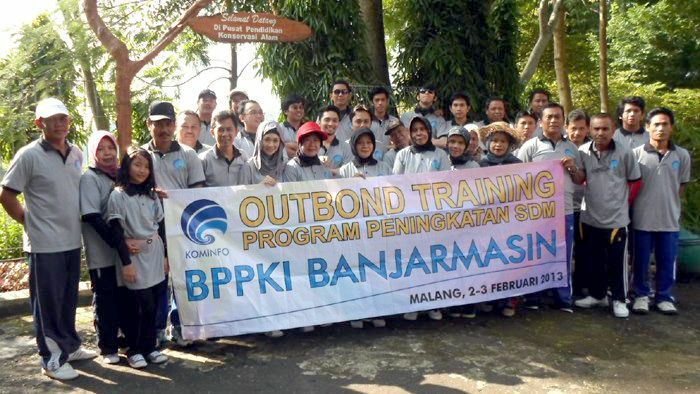 Besides the permanent outbound facilities, Petungsewu Wildlife Education Center (P-WEC) team are ready to serve you with outbound programmes anywhere you request. Petungsewu Wildlife Education Center (P-WEC) has dormitories that can accommodate more than 150 people. If customers join more than one day outbound programs, they don't have to look for hotel or inn, because the dormitories are ready for them.